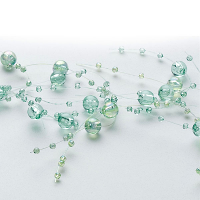 Our new beaded garlands make a beautiful addition to candle displays. 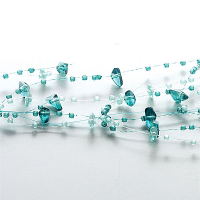 These colored beaded garlands are light weight so they can be easily wrapped around a wide variety of candle holders. 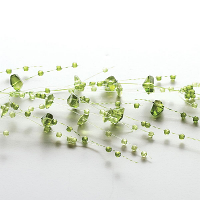 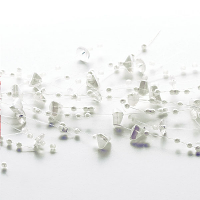 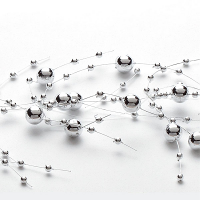 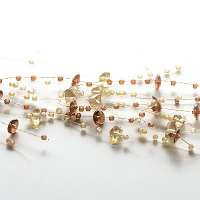 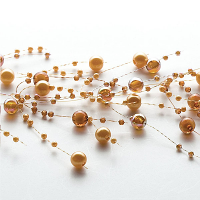 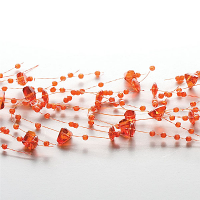 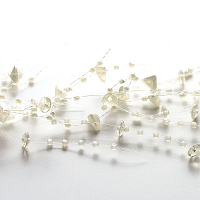 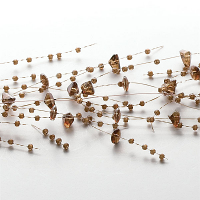 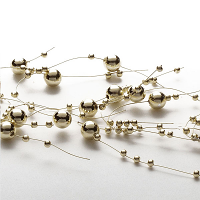 The beaded garland can also be cut into custom lengths and the beads will not slide off. 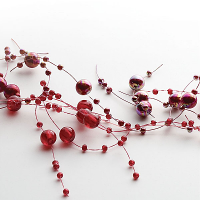 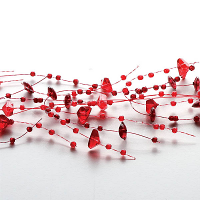 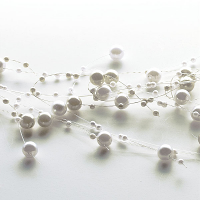 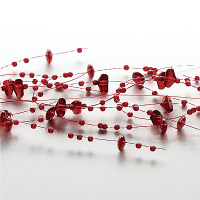 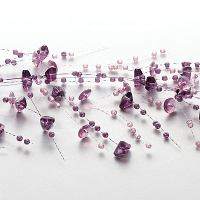 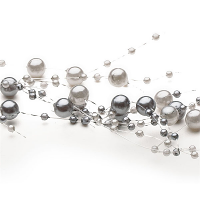 We have a large variety of colors including red, purple, white, silver beaded garland, and more. 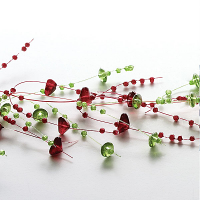 You can use these in the bottom of floating candle bowls to create beautiful centerpieces. 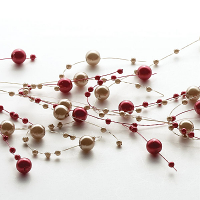 Looking like your creative is easy with these decorative candle accents. 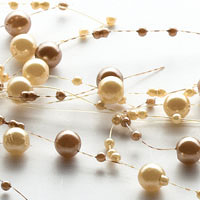 All of our beaded garlands are sold in 5 foot lengths.